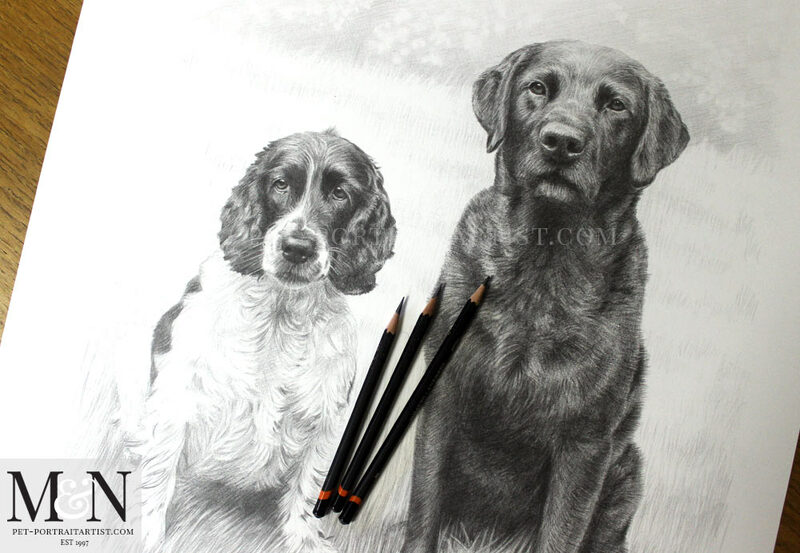 Welcome to my Pencil Pet Portraits of Stanley and Jarvis. 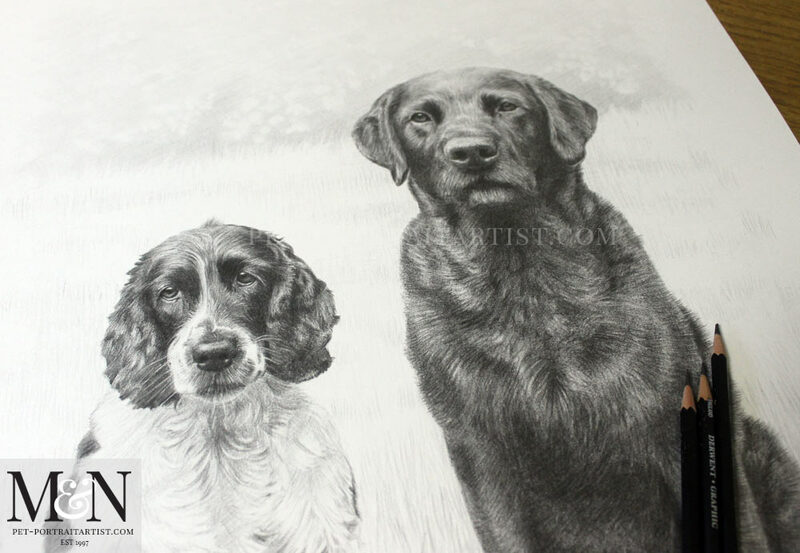 The pencil drawing is a 24 x 18 pencil portrait which was commissioned as a thank you gift. The recipient Paula, was delighted and got in touch with us sending photos of her dogs. Although she had quite a few photos of Stanley and Jarvis, none of them were really suitable for a portrait. So thankfully Paula was able to take some new ones especially for the portrait. 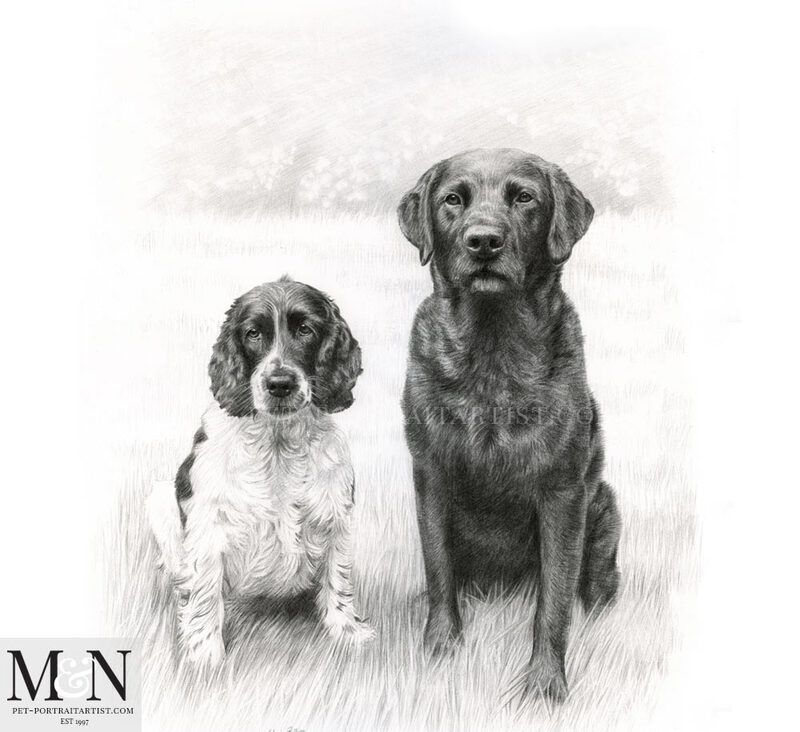 Luckily Stanley and Jarvis were great models and very patient and sat beautifully for a range of photos. I choose one particular photo of them both and it captured them very well. I have added the final scan below along with lots of other photos too…. Here are a few photos of the portrait of Stanley and Jarvis taken in the Art Studio before framing. I like to take photos of the drawings with my pencils to show scale. This helps give our prospective clients an idea of how large of small the drawings are. 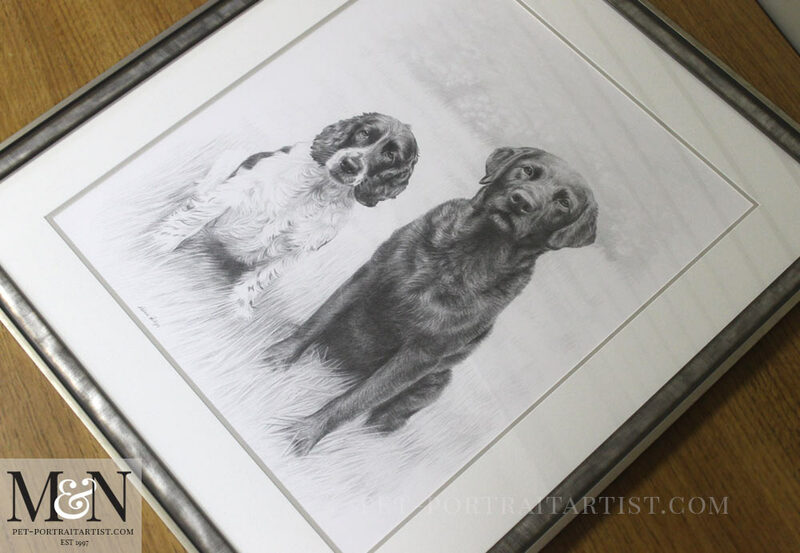 The pencil drawing was frame din my Sandringham frame and its one of my favourites. 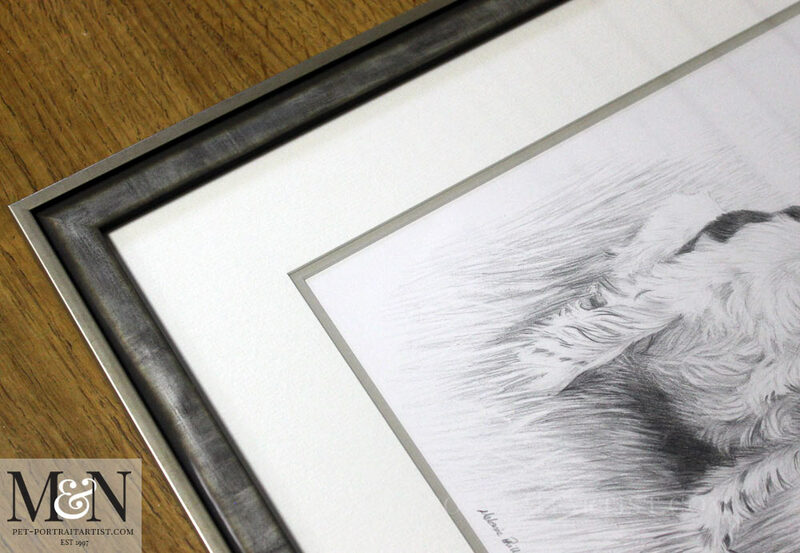 The colour and tones of the frame work beautifully with my drawings. We also use a coloured pale grey inner mount just to add some detail in the double mount itself.